A project to support the survival of struggling pollinating insect populations, such as butterflies and bees, has been launched at the North East Business Innovation Centre (BIC) on the first day of Spring. Pollinator Parks, an initiative led by community interest company Climate Action North, saw volunteers planting 300 British native ‘pollinator-friendly’ wildflowers incorporating around 35 different species, on a meadow lawn area and in two flowerbeds behind the BIC’s Jupiter Centre in Sunderland. A raft of scientific evidence has shown that insect numbers around the world are undergoing alarming rates of decline, with bees, ants and beetles disappearing eight times faster than mammals, birds or reptiles. Climate North East Action Managing Director, Sharon Lashley, said: “Bees, butterflies and other pollinating insects are vital contributors to the beauty of our landscapes, our economy and our £100 billion food industry. The functions performed by pollinating insects is believed to be worth £690 million each year to the UK’s economy alone. The Pollinator Park project, supported by the BIC and Sunderland Enterprise Park Management Company, introduces ‘pollinator-friendly’ wildflowers including Red Campion, Moth Mullien, Primrose, Oxeye Daisy, Basil, and Dandelion to create a sustainable environment for the struggling insect populations. Volunteer groups are led by project delivery partner Phil Macari of Wildcraft, and the planting session last just a few hours with after-care instructions provided. 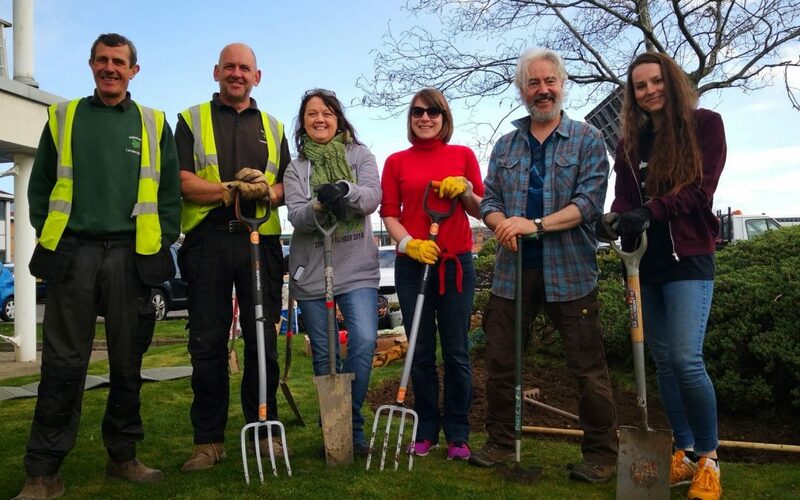 Climate Action North East aim to work with 20 business parks across the North East of England during 2019 and will be establishing pollinator gardens across the region in the coming year. Managing Director, Sharon Lashley, said: “Pollinator Parks is a superb example of small-scale rewilding and demonstrates how we can practically support and care for our wildlife, and repair the broken ecosystems.